I will be featuring a few guest authors on my blog in the next two weeks as a lead up to registration for the Salt Lake Institute of Genealogy (SLIG) opening on June 2nd. I have asked people who attended some of the courses at SLIG in January of 2012 to share their experiences and a summary of the course. Want to spend a week solving the toughest genealogy problems, a new one every day? That describes the most challenging genealogy course I've ever taken, the Advanced Evidence Analysis Practicum at the Salt Lake Institute of Genealogy (SLIG). Oh, I learned more in the advanced methodology classes given annually by Elizabeth Shown Mills at the Institute of Genealogy and Historical Research (IGHR) at Samford Univeristy and Thomas W. Jones at SLIG. I could not have functioned in the practicum without them. But the level of difficulty in the practicum is something else because I had to apply that knowledge repeatedly, and found out right away whether I had headed in the right direction or found the answer. I also had to adjust to very different record environments and kinds of problems than I was used to working on. The course actually grew out of the 2011 session of Tom Jones' Advanced Genealogical Methods class at SLIG. He gave a couple of homework assignments involving a problem to be solved, with evidence provided. We enjoyed the challenge and wanted more of this type of assignment. One day four of us were sitting around and somehow the idea was born of trying to design a whole course consisting entirely of this kind of homework. Now two of that group are coordinating the 2013 course, one is the director of SLIG, and I'm the only one remaining with a purely student's-eye view. The format of the Practicum course is simple. Every afternoon a different expert, usually a board-certified or accredited genealogist, presents the initial evidence for a genealogical case that they have worked on and solved but not yet published. In some cases, all the evidence and documents are provided and the students analyze and correlate it, trying to come to a well-grounded conclusion. In other cases, some evidence remains to be found, either on line or in records at the Family History Library. Where off-line records are required (as they were in four of last year's five cases), the information is available in digitized files on request if the student can figure out exactly what s/he needs (since even the Family History Library can't be expected to create two dozen copies of those particular microfilms everyone will be wanting). The following afternoon, the group reconvenes to discuss their research and evidence-evaluation adventures with the expert and find out how they approached and solved the problem. And then it's time for the next case to be introduced. Compared to the usual SLIG class schedule, this course looks light. So few hours in the classroom! But few of us had time for anything else. (I had invested in some evening lecture sessions but ditched most of them because the problems were so tough, and one of my main approaches to such problems is to spend a lot of time fussing.) Most participants found it both educational and humbling. Questions of research strategy arose that I'd never heard discussed so specifically anywhere else. If you've been through an advanced course or the equivalent, and want a truly challenging workout in a friendly setting, this is the course for you. Harold Henderson lives in northwest Indiana. 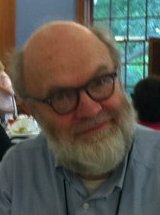 He has been a professional writer since 1979 and a professional genealogist since 2009 (midwestroots.net). He has published 30 genealogical articles in six states and spoken at local, state, and national levels. He blogs at midwesternmicrohistory.blogspot.com. At any given time he would probably rather be reading a grantor index. I love the rabbit hole analogy! That's so perfect. Great description, Harold! You've just made my wish list one course longer. Harold you've done a great job of describing this. I will add one thing from my experience: actually doing something myself, as opposed to understanding HOW to do it, always shows me precisely what I truly understand. A great course in self-knowledge. I hope to take the class again!